Registrations for 50th TOPIK test start on December 12 and will continue till December 21, 2016 in Korea. 50th TOPIK test will be held on January 15, 2017 in Korea only. If you are planning to take the TOPIK Test I, we will highly recommend you to enrol for TOPIK I – Complete Online Preparation Course. If you are looking for a guide book for the TOPIK Test II we will strongly advise you to get the Complete Guide to TOPIK – Self-Study Package, the most trusted digital study package for TOPIK Test Preparation. You can know more about it HERE. We also provide Online lessons for TOPIK through Skype. Our TOPIK experts assess your level and weak points and design a TOPIK preparation course exclusively for you. Check out the lesson fees and other details here. Online through http://www.topik.go.kr/. NIIED is also providing help desk facility for 2 days (12-13 December) for TOPIK registration in its main office and at 8 other places. Check below for further details. Payment method: Through Net Banking or Card Payment. Test Admission card Printing date: January 2 – 15, 2017. 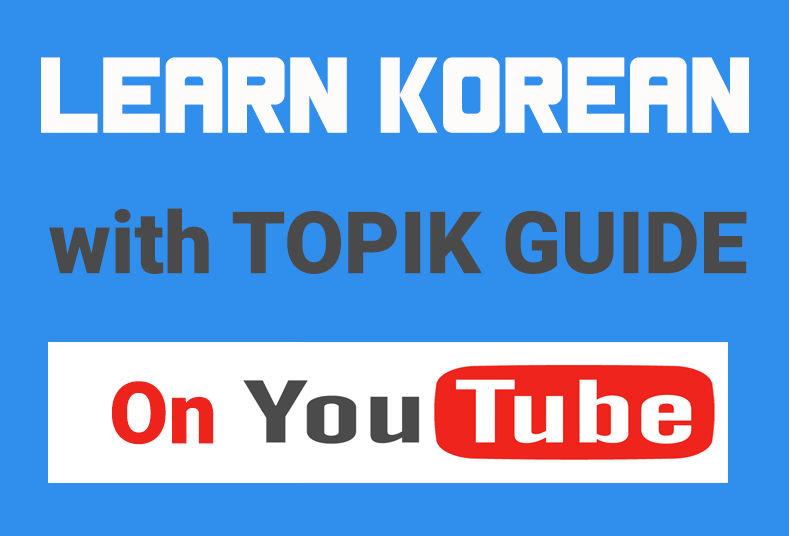 You can register for the test on the official TOPIK site by following the steps shown in the video below. For more guidance on how to register for TOPIK online check THIS PAGE. If you still find it difficult to register online you can visit the NIIED help desks with necessary documents. The details are given below. * 접수시간과 결제 기간이 동일, 접수 기간 이후 결제 일체 불가함. – 시험장은 학교사정과 정원에 따라 조기마감 또는 변경될 수 있음. – 접수기간 이후, 고사장 변경이 불가능하오니, 접수 시 신중하게 선택 바람. – 접수 후 등급 변경이 불가하오니, 접수 시 신중하게 선택바람. – 접수한 시험실 인원이 15명 미만인 경우에는 시험실 운영이 어려워 다른 고사장으로 변경될 수 있음. ※ 신용카드는 부분승인취소, 실시간 계좌이체 취소 시 환불금은 이체했던 계좌로 입금. ※ 환불 처리 후에는 시험에 응시할 수 없음. ※ 단체접수 사진 등록 기간은 접수 기간과 동일함. – 원서 접수 기간 중: 홈페이지 [로그인] → [나의시험정보] → [접수내역]에서 변경. – 원서 접수 기간 이후 ~ 시험 5일 전, 1월 10일 (화요일 24:00) 까지: 신분증 사본 첨부 및 개인정보 입력 후 이메일([email protected]) 송부. 성적발표 : 2017. 02. 02. (목) 15:00 – 성적확인 시 아이디 또는 수험번호 필요. – 성적은 홈페이지 [로그인] 또는 [나의시험정보] →[성적확인] 메뉴에서 확인. – 성적증명서 출력 시, [홈페이지] → [성적증명서 발급]-[성적증명서 신청]-[성적증명서 출력]에서 출력. ※ 제41회 시험부터 국내 성적증명서는 우편으로 발송하지 않음. 장애인 원서접수 안내 – ‘장애인복지법’에 의한 장애인 또는 외부적 신체장애로 인해 시험응시에 현실적으로 어려움이 있는 자. – 구비서류 확인 후 시험 적합여부를 판단, 응시 요령 등 안내. 수두, 홍역등과 같이 법정 감염병에 해당하는 지원자의 경우에는 감염 예방차원에서 시험에 응시할 수 없습니다. 주차 관련 : 시행기관에 따라 주차료가 부과될 수 있습니다. 각 시행기관의 시험관리본부로 문의하시기 바랍니다. saan po ba natin makikita kung register po tayo sa poae?? anong site?